Huawei HiSuite is an official all-in-one utility provided by Huawei and is available for Windows and Mac both. HiSuite can perform tasks like device backup, restore, update, system recovery and organizing data. 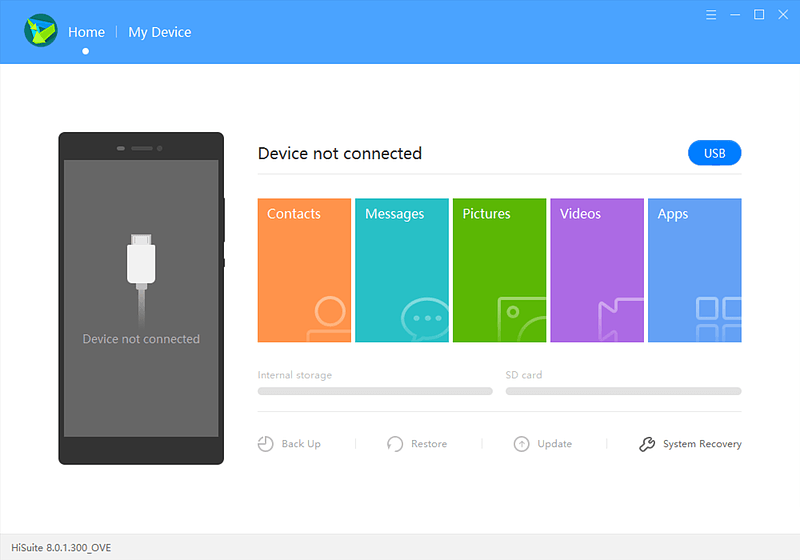 You can download Huawei HiSuite for Windows 10 from below. Besides, Huawei HiSuite download for Mac is also available for free. Huawei is the largest telecommunications equipment company on the planet, but that’s not what it is most popularly known for today. It’s probably hard to think but about 5 or 6 years ago Huawei was not known as the smartphone brand it is known to be today. It’s incredible how fast the company’s smartphone sales have grown. They’ve even beaten Apple in terms of sales and sit only behind Samsung. If you own an iPhone, you must have iTunes on your computer. Similarly, if you own a Huawei phone, you need the Huawei HiSuite on your computer. Organize: Our smartphones are tiny computers that fit in the palm of our hands. They may look sleek, and stylish, they’ve become so common but they’re still complex machines. Just like your computer, your smartphone has a large number of various folder and subfolders. Your downloaded images and videos and other files are stored in different locations depending on the app they were downloaded from. Organizing all of this from the small screen of your phone can be cumbersome. Organizing everything on the larger screen of your PC though, with a mouse, is much easier. That’s where Huawei HiSuite helps. 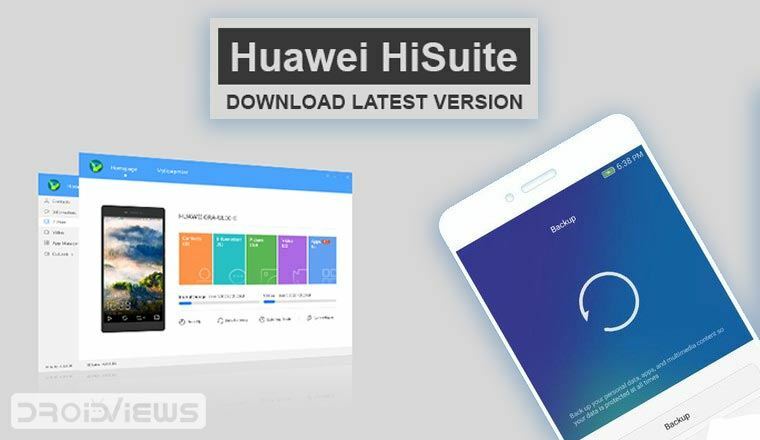 Multimedia: While you’re organizing your files, or just charging your phone via your computer or laptop, Huawei HiSuite lets you play videos or music directly from your phone on your computer too. Sync: You can also sync your Contacts, Calendars, Pictures, Call Logs, Texts etc from your phone to your computer. This makes it easier to use your technology at once. Backup: Huawei PC Suite can help you backup all the data on your phone to your computer, including your apps and their data. Transfer: Huawei PC Suite lets you easily transfer the files between your computer and your Huawei Smartphone, and even other phones. Quickly view, install, or uninstall applications. Easily read, add, delete or modify music and playlists from SD card. Send, receive, or manage messages from computer. Easily import contacts from iPhone, Nokia devices, and Gmail to a Huawei device. Push latest system software version to device, easy download and upgrade options. Automatically updates on user confirmation. Backup contacts, messages, calendar, system setting and other information to PC. Real-time display of device’s content on PC. Connect your device with PC through Wi-Fi to manage data. Forget about USB connector. Huawei phones are all Android and you don’t really need specialized software to transfer data between a Huawei smartphone and your computer. All you need is a USB Cable. However, Huawei HiSuite is not just a data transfer utility. It offers much more, and the most important of all those functions is the backup and restore functionality. Not only can the Huawei HiSuite backup all your call logs, messages, apps, etc. but also the app data and your home screen layout as well. It’s an incredible utility for someone with a Huawei smartphone or tablet. File management, you can manage the internal storage and SD card files. File search, you can quickly find the file you want. Drag and drop operation, you can drag and drop to quickly import or export files. Real-time refresh, files that newly added to your device will automatically display. Support for mouse frame selection, a substantial increase in operational efficiency. The Mac version of the app does not come with as many features as the Windows version though and is unsurprisingly not as well known either. Huawei HiSuite for the Mac only lets you browse files on your phone and drag and drop files between your phone and your PC. You can also backup your call logs, messages, bookmarks, etc. but the backup functionality is nowhere near as comprehensive as on Windows. Assuming you are a Google User including Gmail, and have at least one cloud storage Account e.g. DropBox or Google gDrive this program is basically redundant and not really useful. To keep your phone /clean/ I’d just remove it immediately. Of course opinions differ, this just MHO.